What if SNU was Hogwarts? Forget football games, Heartpal and midterms. How about Quidditch, the Yule Ball and OWLs? 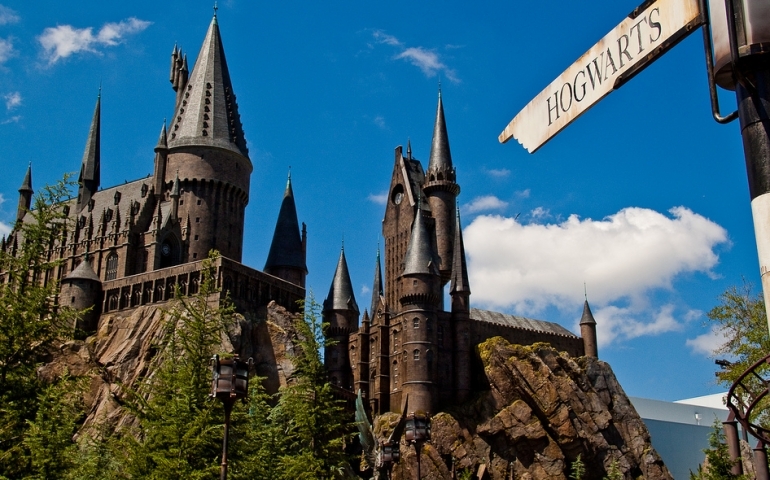 Have you ever wondered what Southern Nazarene University would be like if it magically turned into Hogwarts? Is it just me? Well, if you have or have not thought about it, or if you’re not familiar with the Harry Potter series by J.K Rowling at all, keep reading anyways! I am about to let you in on what it would be like if SNU was actually Hogwarts. First things first. In the beginning of the school year, we spend hundreds, if not thousands of dollars on our textbooks, some of which we do not even use in class! Imagine if instead of spending $400 dollars on the complete set of the Norton Anthology, we can spend our knuts, sickles and galleons on more riveting schoolbooks such as Fantastic Beasts and Where to Find Them by Newt Scamander and History of Magic by Bathilda Bagshot. I know that when I’m shopping for supplies for school, I start to feel a little bored when I’m filling my cart at Walmart with notebooks, pens and binders. Often, I just can’t wait to get the school shopping over with. How exciting would it be if instead of buying college-ruled paper and journals, we had to buy our own wizarding robes, quills, parchment and, most importantly, our own wands? It is most likely that the Sodexo workers would be house elves, the Shoe Tree would be the Whomping Willow (which would whomp students with shoes, of course), homework and moodle would be the equivalent of dementors and the Chamber of Secrets would be located in the dark, mildewy basement of Herrick. Now, if you’re a Potterhead, you would know that one of the most important parts of being a Hogwarts student is knowing what house you belong in. If SNU was Hogwarts, I believe that the the sorting hat would place you in Gryffindor, Ravenclaw, Hufflepuff or Slytherin according to your major. To figure out exactly what major would be considered what house, I asked a couple fellow juniors (i.e. third-year) students for their opinions: Amy Calfy (Ravenclaw) and Aaron Taylor (Hufflepuff). “I feel that Ministry Majors would most likely be housed in Hufflepuff,” said Taylor. What about Business majors and Bio-Chem majors? Who are the Gryffindors of Southern Nazarene University? “Anyone with a Fine Arts major, because Gryffindors are expressive and live life to the fullest. A lot of Music and Theatre majors do the same,” said Taylor. Finally, Calfy was certain she knew who the Ravenclaws are. “I definitely think that Prof. Wilcox would be Professor Trelawney,” said Calfy. And who would be the “Dumbledore” of our school? “Loren Gresham. He’s the president, so he has to be Dumbledore,” said Calfy. celeste forrest What If SNU Was Hogwarts?